Goals from Matt Ferdinando and Asa Rixon-Nicholls helped the first team leapfrog Walton & Hersham and move third in the table, a point off second placed Bedfont Sports, but still some way adrift of runaway leaders Westfield. In truth the clash at High Road, Chipstead was one full of endeavour and effort by both sides, on a pitch that became increasingly more difficult as the contest went on. In the opening couple of minutes Daryl Cooper-Smith could have opened the scoring but was unable to hit the target when well placed, and at the other end only a great last ditch tackle by skipper Aaron Bogle prevented Kyen Nicholas from giving Epsom the lead. The game was quite disjointed in the opening ten minutes but we really should have opened the scoring on 11 minutes. Ferdinando released Cooper-Smith but he was denied by a good save by Epsom keeper Connor Young when left one-on-one. A minute later and Ferdinando pulled down Nicholas, but the free kick for Epsom was wasted. Just after the quarter hour Nicholas went down under pressure from Asa Rixon-Nicholls and Owen Davies, but from the free kick Endrit Dobraj was well wide of the target. Good work by Marvin Roberts on 17 minutes saw him get the better of Dobraj, but from his dinked cross to the back stick, Matt Auletta could only fire against Adam Heagney and Epsom were able to clear. Ashley Thompson found Reisse Griffin with a tremendous crossfield ball, but his low curled shot was well held by Michael Eacott in the Rovers goal. Midway through the half and excellent work by former Rovers man Marlon Pinder saw him fire over an excellent cross which really should have been turned home by Nicholas, but with Eacott looming large in front of him he could only direct the ball wide of the right hand post. Nicholas then bought a good save out of Eacott low to his right, as Epsom enjoyed the better of the chances. Heagney then capitalised on a poor Eacott punch from a Pinder cross, but the skipper was well placed to hook the ball clear and the game remained scoreless. Cooper-Smith put a free header wide of the left hand post after excellent work by Auletta. Rory Sellick fired wide from close range after good work by Pinder again. Auletta then skipped passed Griffin before being pulled down earning the Epsom man a booking he would regret later in the game. Ferdinando found his way into the book on 43 minutes after a foul on former Rovers man Miguel Anderson, but from the free kick Dobraj curled in an effort which was well held by Eacott and almost immediately we took the lead. Auletta skipped passed Griffin again and put over a dangerous cross, Cooper-Smith turned the first effort against the ball, but Ferdinando was sniffing a goal and followed in to head us into a 1-0 half time lead. Early in the second half a decent run by Roberts earnt us a free kick, but from the delivery by Auletta, Rixon-Nicholls was just unable to reach the ball and the chance went begging. A minute later and a Cooper-Smith chip floated over Young and just over the crossbar. We were almost caught out on the hour when man of the match Matt Tanton momentarily forgot who he was playing for and set Epsom on the attack with the perfect through ball. Pinder reached the deadball line, squared to Nicholas but he was denied by a brave save at this feet by Eacott. We replaced Ferdinando on 63 minutes, after a good return from injury, and put on the reliable Craig Nelson. Four minutes later and a neat move involving Bogle, Tommy Smith, Cooper-Smith and Auletta ended with Auletta's shot being gathered by Young and at the other end a Pinder cross was well defended by both Bogle and Rixon-Nicholls. We made a double change with twenty minutes remaining, replacing Cooper-Smith and Farrell with Danny Fernandez and debutant Tom Neale. 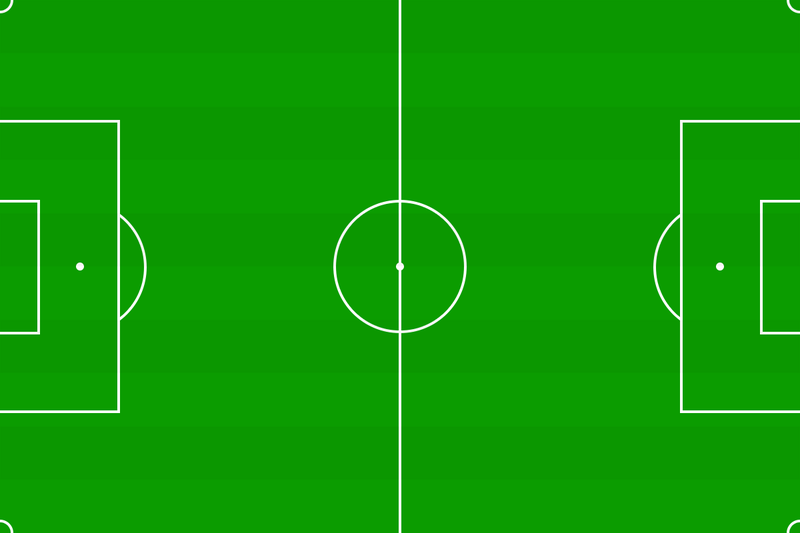 Neale's first impact was to twist Alex McKay left and right and win a free kick on the edge of the area. Nelson's delivery though drifted harmlessly off for a goal kick. Epsom were reduced to ten men on 77 minutes, when a mistimed challenge by Griffin on Bogle saw the Epsom man pick up a second yellow card and subsequent red. Ten minutes from time and Roberts fired over after good work on the left by Rixon-Nicholls. Epsom should have reduced the arrears with just over five minutes remaining, a great cross by Pinder was met by Ben Dyson, but somehow Tanton got back to clear off the line and keep the score at 2-0. Fernandez went into the book for a foul, just after Auletta had been denied by a good Young save, and their was still time for Neale to mark his debut with a booking, after a clash in the area with Dobraj. In truth it was a hard fought win even if you never felt once the game got to 2-0 that we were in any danger, against a vastly improved Epsom & Ewell side, who showed that with a fair wind, and a little bit of luck, that they now have the capabilities to pull themselves out of trouble. For us, we move onto Friday's nights clash with Colliers Wood Utd and the lads will be looking to put more pressure on the sides around them.